Many employees misunderstand the range of these protections due to the state’s “at will” employment status. However, all public sector employees in the state are protected under these acts as are private sector employees working in companies with 15 or more employees. In most instances, an employment contract is not necessary to be protected from retaliation for reporting or opposing discrimination. Yet, to ensure success and be assured that your case is presented credibly with the intended result to end retaliation at the workplace, it is in your best interest to retain legal counsel experienced in state and federal labor and discrimination law. Complaints must be filed with the EEOC or TWC within 180 days (state law) or 300 days (federal law) of the harassment. Again, the employee must prove a connection between the protected activity and the adverse action. 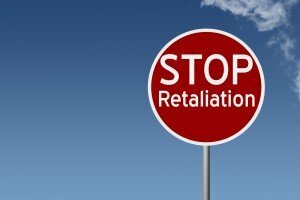 Complaints of retaliation for reporting or opposing workplace discrimination should be filed with either the EEOC or Texas Workforce Commission. Claimants must present credible, substantiated reports. The more detailed and consistent the complaint, the greater the chance of success will be. The Fort Worth law firm of Hutchison & Stoy, PLLC, handles employment law issues including matters related to workplace discrimination, harassment and retaliation. If these claims are not filed in a timely manner and if they are not accurate and concise, the chance of success will diminish accordingly. Experienced attorneys can guide claimants through the filing process and provide the best chance for success. If you decide to pursue this path, retain legal counsel. Hutchison & Stoy, PLLC, can review your complaint and advise you as to how to proceed. Call 817-820-0100 to schedule a free, timely and confidential review of your complaint against retaliation for reporting or opposing discrimination in Texas workplaces.